When it comes to defending national territories, there are operations less obvious than building a wall. For example, South Korea develops artificial reefs to delimit its territory and protect its marine resources. But these underwater infrastructures take the idea of frontier one step further: they end up zoning the seabed and, thus, they reconstruct biodiversity according to the commercial and geopolitical interests. In the summer of 2016, the South Korean government installed 80 artificial reef structures along the Northern Limit Line (NLL) that extends the Military Demarcation Line (MDL) of the Korean Demilitarized Zone (DMZ) into the Yellow Sea. These subaquatic constructions were equipped with hooks strategically designed to cut the fishing nets of Chinese commercial vessels operating in the area. Camouflaged as marine conservation and extraction devices, these reefs act as passive defensive artifacts, crystallizing the tensions between coexisting actors in the region. Several circumstances have forced South Korea to project its future aspirations towards the oceans. 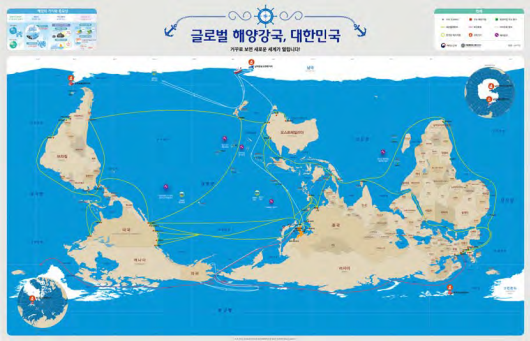 The country’s geography, increasing population, and reduction of fishing resources, as well as the impacts of the 1982 Exclusive Economic Zone (EEZ) agreements and the geopolitical tensions with neighboring countries, have driven the South Korean government to make maritime territorial planning a national priority. Since 1971, a constellation of artificial reefs has been deployed across 210,000 hectares of seabed around the South Korean coastline, expanding the country’s urban condition into the underwater realm and mirroring its rapid inland urban growth. The implementation of reefs has followed an equivalent sequential process to that of urban development, with phases of planning, zoning and the application of construction guidelines. The construction of artificial reefs along the NLL is a paradigmatic example of cosmopolitical architecture and illustrates the geopolitical and environmental implications of this type of subaquatic structures. Figure 1 Korean Reef, territory map. Nowadays, most maritime conflicts in this area occur in relation to fishing resources. Since the two Koreas have been unable to agree to a common maritime boundary for the NLL, Chinese fishermen have made use of this ambiguity and continued to profit from it by strategically maneuvering within the disputed waters. One of the principal causes of tension is the highly valued blue crab (Portunus trituberculatus) (Shawn Ho, 2016), one of the main fishing resources in this region. In recent years, an increasing number of Chinese fishermen have ventured into this zone to catch these crabs due to their rising prices. Tensions increases during the peak blue crab harvesting season, which runs from May 1 to July 15. Two to three tons of crab might be worth up to 70,000 USD. Targeted marine species, military patrols and fishing vessels from North Korea, South Korea, China and the United Nations Command coexist under the lack of agreement over the NLL in this conflict-ridden seascape. Figure 2 Artificial Reefs. Axonometric. Figure 3 Artificial Reefs. Axonometric. Figure 4 Artificial Reefs. Section and plan. In 2016, South Korea shifted its strategy in relation to this entanglement. By using a specific type of underwater urban expansion, it turned the ambiguous, undefined and fluid maritime boundary between the two countries into a constructed environment. The government planned the construction and immersion of approximately 80 artificial reefs. Between June and November, the structures were strategically sited around Yeonpyeong and Daecheong Islands, two of the five controversial islands along the NLL. Bigger and heavier than other artificial reefs, these structures weigh dozens of tons. The dimensions of their base range from 10 to 15 m and their height oscillates between 5 and 8 m. The structural frame is made of steel and, in some cases, also includes concrete and/or stone elements. The addition of hooks to the upper part of the structures was a strategic design decision. Camouflaged as productive and marine conservation devices, the structures operate with an additional agenda: to cut the fishing nets of Chinese and North Korean commercial vessels operating in the area. These reefs are passive defensive artifacts that render the NLL tensions visible across the seabed. Indeed, this is not an isolated strategy. Artificial reefs form an extensive infrastructural network for the enhancement of fishing productivity and protection of marine resources. The structures are able to orchestrate production and conservation across multiple scales. Over the past few hundred years, they have evolved from being mere piles of debris to sophisticated structures designed for specific purposes. Oceans are increasingly transformed through the construction of these spatial structures, which shape complex relationships between actors from land and sea, from the underwater and overwater realms. South Korea is a world leader in artificial reef production. Its geographic condition links the land and its traditional livelihoods to the ocean: 45 % of South Korea’s protein comes from marine products. In the past decades, a series of environmental, legislative, and geopolitical forms of pressure have pushed the South Korean government to invest in the expansion of the country beyond its coastline and out into the sea. Additionally, the 1982 United Nations Law of the Sea Convention extended the limits of Exclusive Economic Zones (EEZs) from 12 nautical miles offshore to 200 nautical miles. This agreement, which helped countries to control a broader maritime area, had a detrimental impact for South Korea. Being located in a region where many different countries share waters meant that South Korea’s own maritime EEZ was surrounded by the EEZs of its neighboring countries. As a result of this agreement, the closest high seas that South Korean fishermen could access were further away from South Korean shores. This made it increasingly difficult for the country’s fisheries to operate in distant waters. After this legislative change, Korean seas effectively became ‘enclosed seas,’ which increased the pressure on the productivity of the marine region. Furthermore, South Korea has strong political disagreements with its continental neighbors. China and North Korea have been its political adversaries ever since the end of the Korean War. The DMZ, the lack of agreement over the NLL, the constant political provocations between the two countries, and their alliances with world powers, expand local tensions to a global scale. In response to all of these environmental, legislative and political forms of pressure, South Korea looks to the oceans. In words of President Moon Jae-in, “the future vision for us is to head first for the sea instead of the blocked continent.” The concept of a “blocked continent” proclaims the peninsula as an ideological island that has turned its back to the mainland. 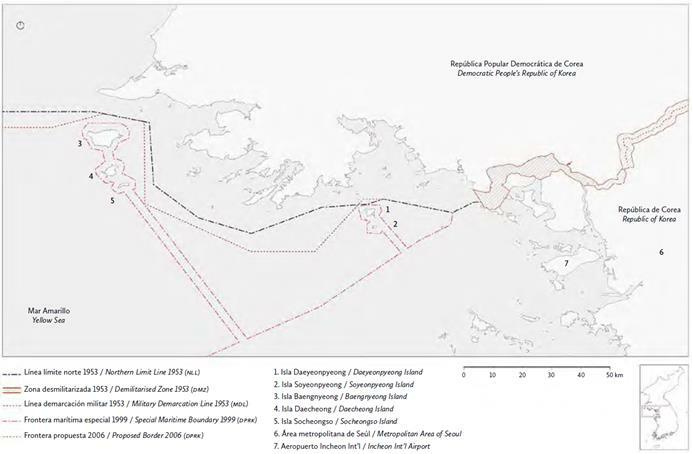 Figure 5 Exclusive Economic Zone. Territorial Map of the World. National oceanic ambitions are reflected in various institutions’ communications as well as in the increase of high schools and universities specializing in maritime affairs. For instance, the Maritime and Ocean University’s current online website shows a welcoming message from the president of the institution, Dr. Park Han. He speaks to the young generations of the country about the importance of competing against other advanced countries for ocean resources such as logistic routes, minerals, food, tourism, and energy. He urges the students to turn the focus from the continent to the ocean in order to be prepared for the “ocean age.” More importantly, he describes the ocean as South Korean’s “new continent” which will host the “future of the human race.”7 This is a patriotic discourse that constructs South Korean national identity: the ocean is the new continent to conquer, and South Korea’s national urban expansion is inevitably oceanic. The construction of this oceanic national imaginary is also reinforced by political figures such as the Minister of Maritime Affairs and Fisheries (MOCT) Kim Young-Chun. On August 8, 2017, he announced the ministry’s intention to develop a ‘Global Maritime Power.’8 In order to raise public interest in the immense extractive possibilities of the sea, 550 pieces of the ‘Inverted World Map’ were distributed to the National Assembly, the central and local governments.9 The government uses this map to shift the public perception of South Korea by liberating the country’s psyche from the ‘weight’ of its continental mass, thus allowing South Korea to project itself and its geopolitical strategy towards the ocean. The South Korean national project is not only ideological or territorial; it is, in fact, a metropolitan project. In the last decades, Seoul has transitioned from being a devastated city after the Korean War to a region hosting one of the five largest metropolitan populations on earth, and half of the South Korean people. This urban growth began in the 1970s and quickly absorbed a massive rural exodus, raising the urban population rates from 27,1 % in 1960 to 82,6 % in 2016.10 This transformation has positioned Seoul as a leading global city and has changed the country’s geopolitical agenda. South Korean ideological and metropolitan projects have simultaneously expanded towards the ocean. Since 1971, government and private corporations have participated in the construction of a constellation of reefs, which spreads across 210,000 hectares of seabed - equivalent to an area 3.5 times greater than that of Seoul. Myriad artificial reefs and other fishery productive facilities such as sea ranches and marine forests shape Korean national waters, coastline, and seabed, expanding the country’s urbanized condition to the underwater realm. Mirroring the evolution of Korean inland urban growth, the country’s underwater growth has also increased exponentially during the last few decades. Between 1971 and 1980, the total constructed area was 1,539 hectares. With further expansion between 1981 and 1990 it reached 52,851 hectares, and by 2001 it occupied 157,000 hectares. The cost of this growth required an investment of approximately 700 million USD or an average of 42 USD million per year for the last decade. As with every urban and architectural project, this reef metropolis is also a political venture, which aims to position South Korea as an oceanic pioneer. The growth of the South Korean reef metropolis has followed the same processes of construction and spatial planning strategies applied on the continent. Traditional sequential phases for urban development such as planning, zoning, and the application of construction guidelines are fundamental for the expansion of artificial reefs. During a preliminary stage, government and private stakeholders negotiate and plan the projects. It is necessary to analyze the existing conditions and to assess the risks and profitability of the investment. The central government develops the planning and budgets for artificial reefs - local governments are in charge of their construction and installation. The National Fisheries Research Development Institute assesses appropriate sites and evaluates the productivity of each location. The national government contributes 80 % of the costs and the provincial government the remaining 20 %. Private corporations compete to win contracts for further deployments. The South Korean government approvals process takes two to three years during which artificial reef designs are deployed and monitored. They are assessed on the basis of cost, economic efficiency and quality. After all, an artificial reef has to be equal or higher in productivity and effectiveness than any surrounding natural reef. During this process, an urban morphology divided by specialized zones takes shape. Specific areas structure and organize the South Korean reef metropolis. Comparable to the segregation of dissimilar socio-cultural groups in our cities, artificial reefs also offer different urban and architectural forms that attract and suit different species. Just like contemporary cities, artificial reefs are designed to include or exclude different populations, as the spatial qualities of each module will foster the growth and survival of certain targeted species over others. In both cases, more profitable inhabitants are more likely to be targeted. Furthermore, different types of urban settlements relate to different forms of architectural typologies, which, in turn, attract different demographics - after all, a loft downtown does not target the same inhabitant as a suburban detached family house. The reefs’ positions affect the underwater spatial dynamics of fish distribution, as well as the superficial spatial dynamics of commercial and recreational fishing, as the fishermen engaged in these activities seek specific species. The reef designs will include specific shapes, voids, surfaces and profiles adapted to the body sizes preferences and habits of specific marine species. If architectural typologies respond to the demands of diverse socio-cultural groups, artificial reefs engage with the ethologic behavior of varied species. Underwater movements, migration patterns, currents and overwater circulations are interrelated, composing a multilayered circulation system. Spatial design requires a multi-scalar definition. From the delineation of a construction detail to the integration of a building as part of the urban fabric, architecture is organized at different scales. A series of construction guidelines and material regulations dictate many design decisions and define the parameters of an architectural project (Kim, 2001:15-18). The South Korean Ministry for Maritime Affairs & Fisheries has defined a series of guidelines for reef construction that regulate typologies and materials (UNEP, 2009). The material characteristics of the South Korean reef metropolis respond to structural and degradation requirements, but also to the spatial and material preferences of the targeted inhabitants. Reef structures also have a desirable life span. Reefs must be constructed with materials that allow a certain degree of progressive degradation such as steel, concrete or ceramic. PVC or plastic materials are not recommended, as they are very resistant to underwater environments and take longer to decompose. However, the rapid degradation of some materials can have negative impacts on marine ecosystems. Timber is not a suitable material either, as its degradation occurs too quickly. In the Korean reef metropolis, steel and concrete appear as the most commonly used materials, with concrete being the choice for over 90 % of the cases. However, the use of concrete is controversial from an environmental perspective due to the chemical components that it liberates in its decomposition and the CO2 emissions involved in its production. Figure 6 Inverted World Map. Artificial reefs mediate complex environmental, economic and social relationships between national and international actors. They operate as multi-scalar architectural designs that host hybrid programmatic conditions. The diversity of reef typologies, the varied modes of deployment and the rapid expansion of the structures position the South Korean reef metropolis as an urban laboratory for oceanic construction. One in which the architectural object, which was subject of cult and desire during the neo-capitalist era, begins to dissolve in multiple material ecologies, connected in turn to planetary ecologies. Rather than an iconic architecture of objects, an architecture that dissolves into processes and ecologies becomes a new center for a micro-cosmos, which reconfigures and distorts conventional building ecologies. In the age of the Late Anthropocene, the most critical resistance may be precisely to resolve in architectural terms the conflict between the eternal growth inherent to capitalism and the Earth’s limited resources (Zaera & Fernández, 2016). The construction of artificial reefs along the NLL illustrates the geopolitical and environmental implications of this type of subaquatic structures. From an architectural and urban perspective, a unique opportunity arises in recognizing artificial reef structures as cosmopolitical architecture. Artificial reefs connect both human and non-human spatial needs by reconfiguring hybrid ecologies. These invisible structures dissolve into processes of conservation and production across multiple scales. Learning from the reefs could contribute in shifting our symbolic relationship with nature through the development of more synergic design strategies. We would like to acknowledge Urtzi Grau for his support during the development of this body of work, as well as Joumana Elomar and Isaac Harrison for their contribution in the development of the images that this article contains. Architect and Master in Architecture, Polytechnic University of Madrid, Spain, 2011. Her research focuses on the urbanization of oceanic environments through infrastructures and their ecosystemic and geopolitical impacts. Her work has been exhibited and published in Australia (Wagga Wagga Art Gallery, 2017, Bank Art Museum Moree, 2018), Spain (14th Spanish Biennial of Architecture and Urbanism, Santander, 2018) and Chile (20th Biennial of Architecture and Urbanism, Valparaíso, 2017). She is currently Lecturer of Architecture at the Faculty of Architecture, Design, and Construction, University of Technology Sydney, Australia. Architect and Master in Architecture, Polytechnic University of Madrid, Spain, 2013. His research focuses on the spatial, political and cultural transformations linked to the implementation of late capitalist models in the production and distribution of food. His work has been exhibited and published in Germany, Australia (Wagga Wagga Art Gallery, 2017, Bank Art Museum Moree, 2018), Spain (14th Spanish Biennial of Architecture and Urbanism, Santander, 2018) and Chile (20th Biennial of Architecture and Urbanism, Valparaíso, 2017). He is Lecturer of Interior Architecture at the Faculty of Architecture, Design, and Construction, University of Technology Sydney, Australia. Architect and Master in Architecture, Polytechnic University of Madrid, Spain, 2012. He is currently investigating the historical evolution of mining towns in Chile and the transformations in the political, urban and architectural imaginaries. His work has been exhibited and published in the USA, Australia (Wagga Wagga Art Gallery, 2017, Bank Art Museum Moree, 2018), Spain (14th Spanish Biennial of Architecture and Urbanism, Santander, 2018) and Chile (20th Biennial of Architecture and Urbanism, Valparaíso, 2017). He is Lecturer of Interior Architecture at the Faculty of Architecture, Design, and Construction, University of Technology Sydney, Australia.